What Makes OUR Homeschool Unique? People sometimes ask me what makes our homeschool unique. Well, we do... we make our homeschool unique. I know that's a pretty generic answer, but that's the truth. Every homeschool is unique in some fashion, and ours is no different. I'm a working stay at home mom. I do photography-weddings, portraits, and commissioned pieces as requested. I also act as primary caregiver for Mr. B. These multiple roles make our situation unique when compared to others. We are a special needs family in that he has some medical needs, and that means we are often traveling to doctors. That takes up a lot of time. We school in the car, waiting rooms, and anywhere else we can. This year we've decided to take a different approach and attempt to do our regular lessons at night so that our days are free for whatever else we needed to do. This also helps with his CVS (Cyclic Vomiting Syndrome) episodes. Those almost always hit in the early morning, and he's usually better by the late afternoon. Having a non-traditional "classroom setting" definitely makes us unique. Special needs often means special learning. We have never gotten a full boxed curriculum set because I am worried he would have gaps in his learning, and because I'm really not sure what grade I could select that would be the best fit. He's technically in the 8th grade now, but he's every where from 5th to about 9th/10th grade in his studies. this makes it very difficult to get a boxed set. I love Masterbooks because they offer more of a range rather than a specific grade. Timberdoodle selections usually are a certain age "and up" and this makes it a little easier to decide individual items, but a complete set isn't as easily chosen around here. I also have to make accomodations to what we use in a lot of cases. So being a special needs family certainly gives our homeschool a uniqueness than others do not have, as I have shown with our erratic schedule and schooling at night, instead of during the day like others. We are also an only child homeschooling family. This has presented itself a few different challenges over the years. First I noticed a lot of text books/programs are written for multiple students. I have had to get creative at times with activities that were for 3+ students, when I only have 1 student. On the one hand, it's nice to be able to focus my attention on only one child, and it's obviously much cheaper to homeschool only one. But on the other hand, having that peer interaction is so much more difficult for us. We have had to go the extra mile, literally, to incorporate peer to peer interaction. Sometimes, I feel as if I fail in this aspect more often than not. It's just hard to get my work done (work at home mom, another unique point for us) house work, dinner, take care of his health care needs, manage doctors and therapy, school him, etc. and STILL get to a co-op, play date, field trip, or park day. It's hard, but we do it because I feel these peer to peer relationships are extremely important in life. Kids learn as much from each other as they do from their teacher, and I want him to have that well balanced, well rounded education from both sides. Drop me a comment and let me know how YOUR homeschool is unique! Everyone has something that makes their homeschool unique. For us, it's special needs, chronic illness, and being an only child. 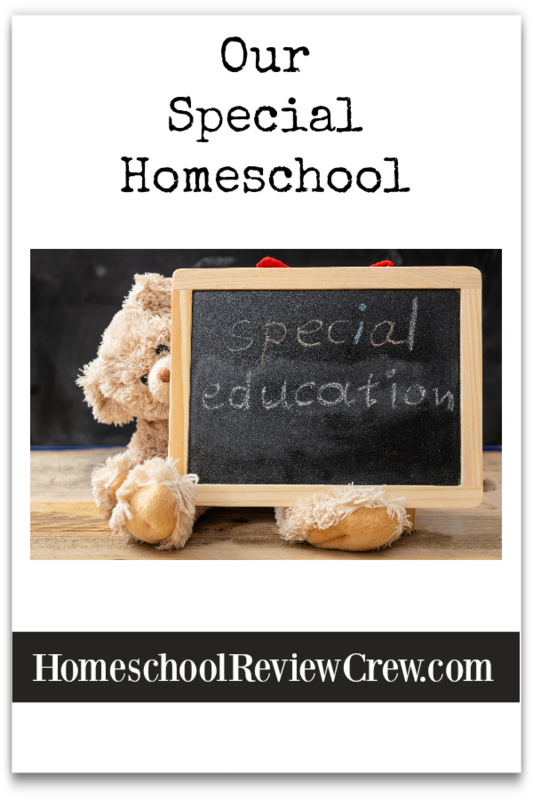 Click below to read more posts from Unique Homeschoolers of the Homeschool Review Crew!